April 26, 2014 – Lancaster and Huffines Park. 20+mph winds outside, so I couldn’t take my yak out to the lake. 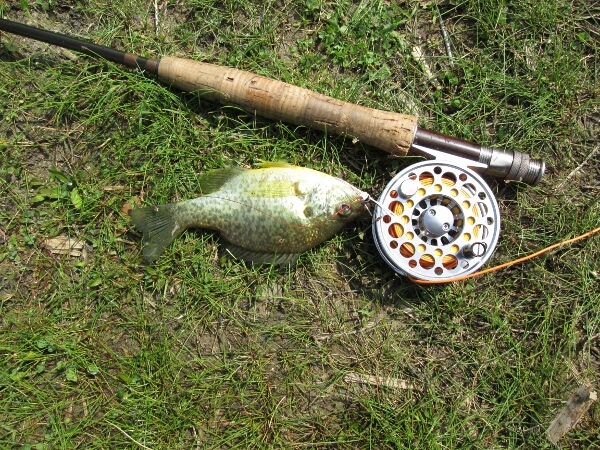 I wanted to do a little fishing, so I headed out to Lancaster park. 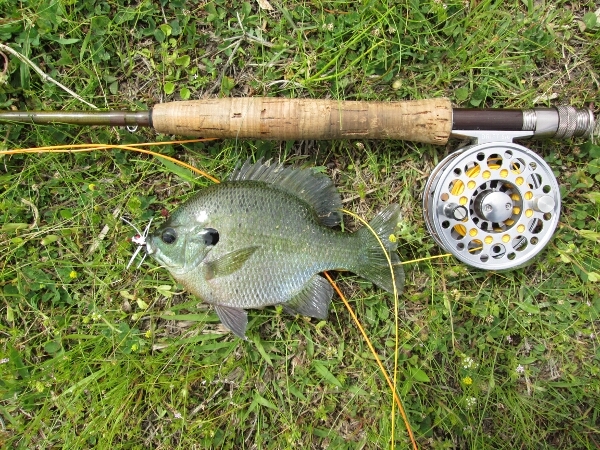 The bluegills are in the shallows, and they were hitting the little white popper I was throwing with my fly rod. 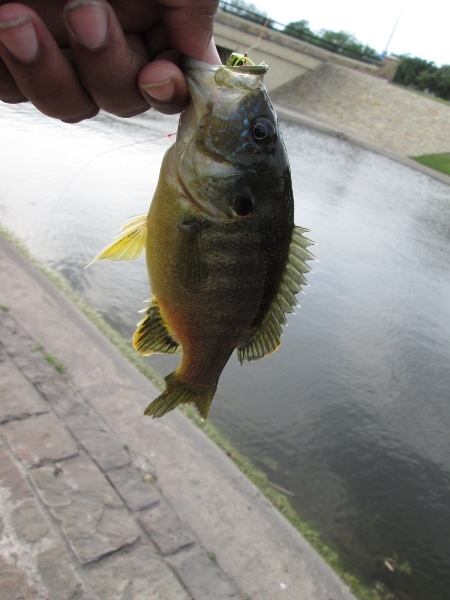 This bass was hiding in the grass behind the gills. 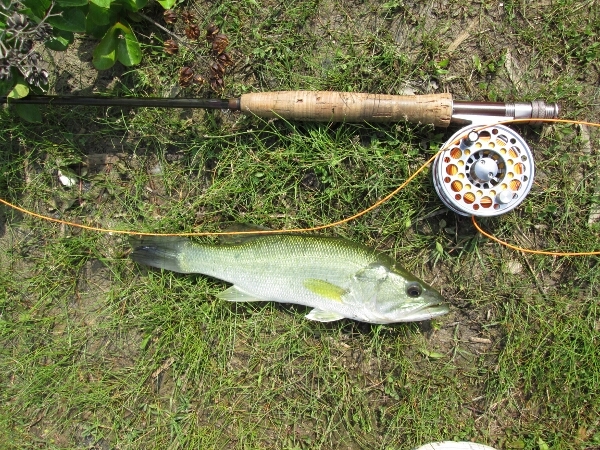 A large bass took the white popper down and snapped the line. 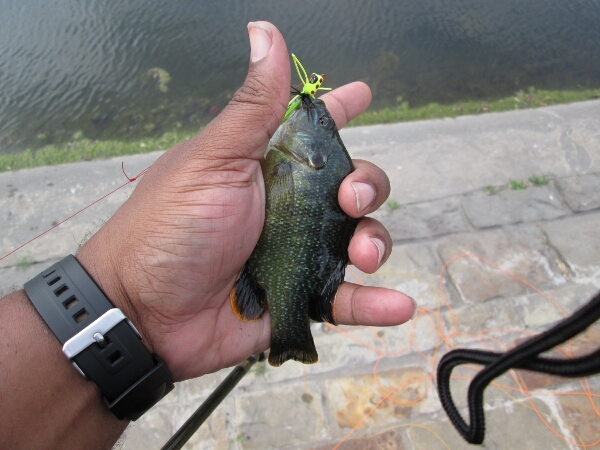 I had to switch over to a yellow popper after that. 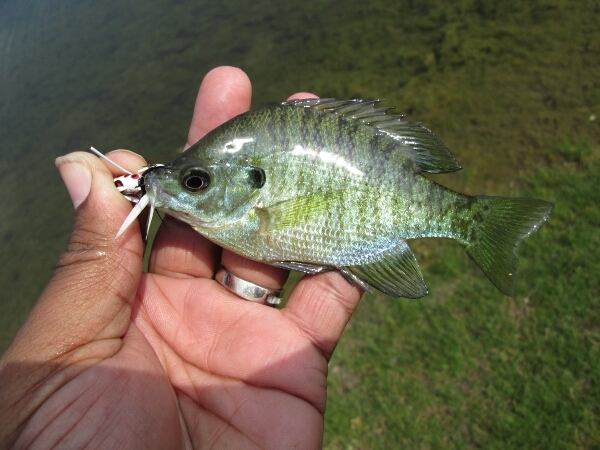 Caught just over thirty bluegills and a small bass. Headed out to Huffines Park in Richardson next. 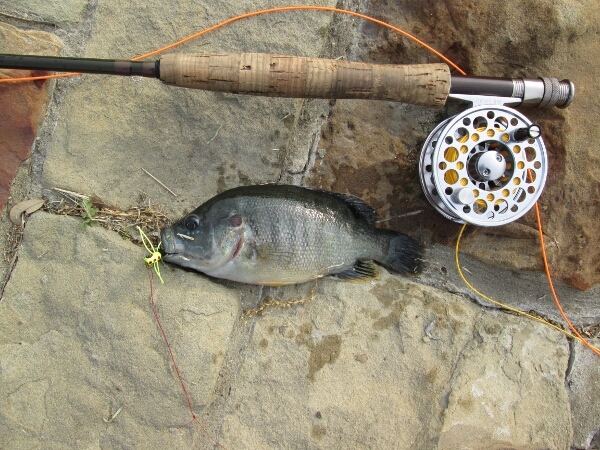 The wind was to high for the middle and east ponds, so I just stayed at the west pond near the gym. 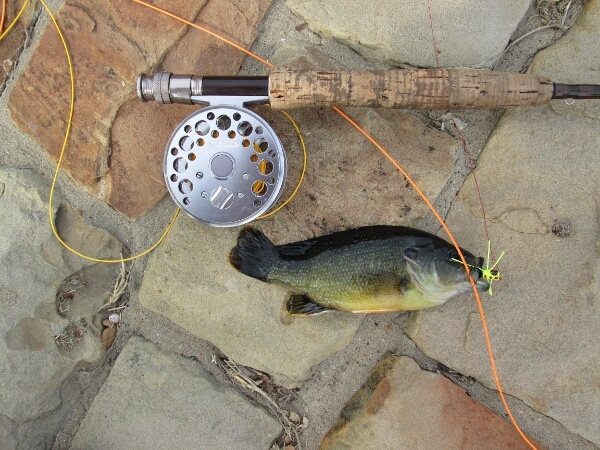 The wind was behind me, so I used the roll cast to reach the fish that were on the opposite (north) bank. 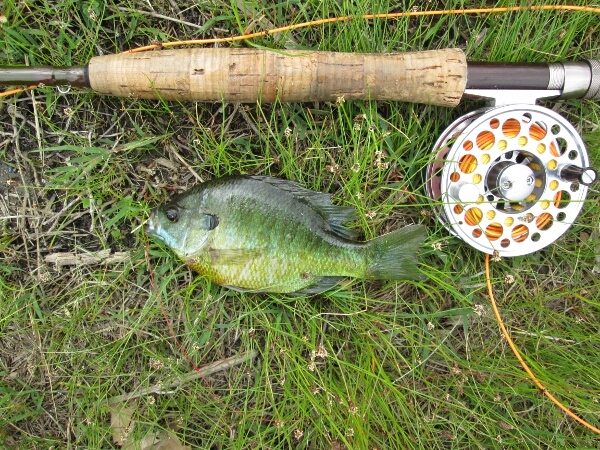 The pond is full of green sunfish that will hit the popper as soon as it hits the water. I stopped counting after 30. 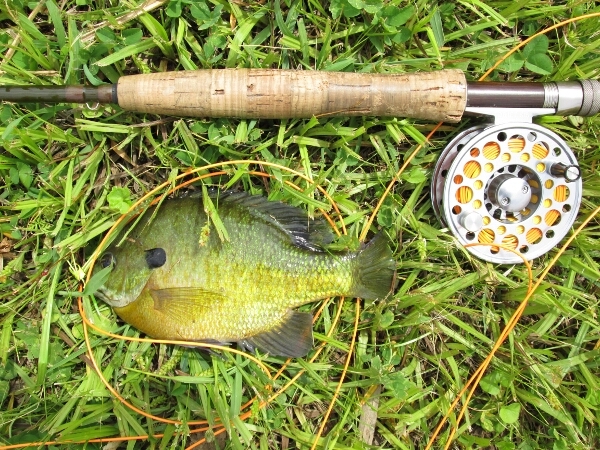 This fat greenie put up a good fight, but I got him in. 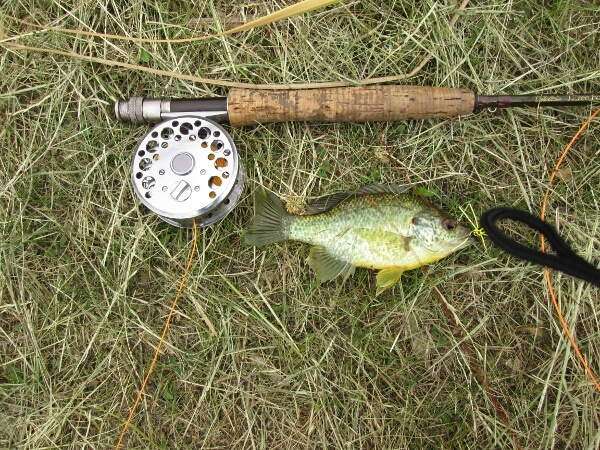 This entry was posted in Bass, Panfish by joebeasley. Bookmark the permalink.